There has been plenty of news coverage. Everyone from Fox News to Bloomberg to ILYBYGTH has written about the history protests in Jefferson County, Colorado. But what I haven’t seen anywhere is any notice of the startling international connections here: teenagers in Colorado and China are protesting against the same things. 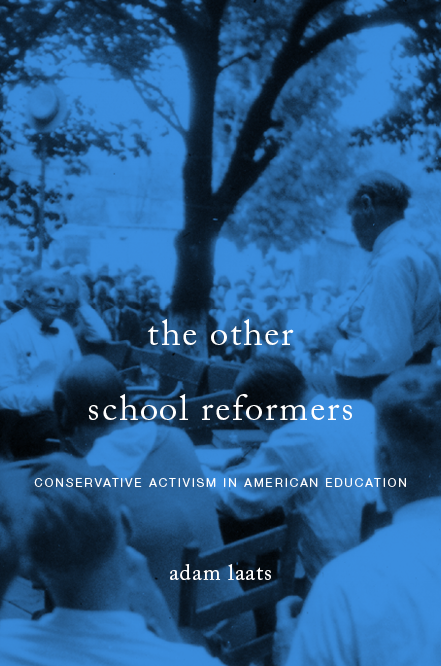 What does that tell us about the nature of educational conservatism and the teaching of patriotic history? The Colorado story can be told in a few words: Conservative school-board members suggested changes to the way Advanced Placement United States History was taught. They worried that the new framework distorted America’s past. As have many conservative thinkers, they worried that the new guidelines skewed the story toward genocide, racism, and oppression. In response, students and teachers took to the streets. They demanded freedom to learn about America’s tradition of protest, about America’s traditions of civil disobedience. But it is doing more than that. This is an international story, and I’m flummoxed by the lack of coverage of those international connections. At the same time as the Colorado protests, much bigger protests have roiled the enclave of Hong Kong. Again, there has been no lack of coverage of the “Umbrella Revolution.” We don’t need to re-hash the whole story in these pages—you can check out the unfolding protests here, here, or here. On some levels, the international connections of the Hong Kong protests are hard to miss. After all, the movement has modeled itself on the international “Occupy” protests. But I can’t find anywhere the international connections between Hong Kong and Colorado that seem so central to this story. In Hong Kong, after all, the protests emerged, in part, from a movement called “Scholarism.” One leader of this movement, seventeen-year-old Joshua Wong, has protested for years against the imposition of a “patriotic” history curriculum in Hong Kong. That curriculum has been ferociously controversial in Hong Kong, since it glorifies the “China Model” and erases distinctions between Hong Kong and mainland China. The parallels are hard to miss. Conservatives in China and Colorado want to see history taught a certain way. Of course, the heroes are different, but the central ideas are the same: Any mention of anti-government protest is suspect. The exceptional nature of the country is emphasized. Students should be taught that their country is the best on earth. I can’t help but think that Colorado’s conservatives wouldn’t like the comparison. But it’s staring us in the face. Students in Colorado, just like students in Hong Kong, protest against any heavy-handed effort to swing history in conservative directions. What does it mean that teenagers from Colorado to China are protesting against “patriotic” changes to their history curriculum? Is there some thread linking conservative ideas about the proper teaching of the past? And the big question remains: If this parallel is so noticeable, why don’t we see it in news coverage of these student protests? What I find interesting is your description of conservative efforts at influencing the curriculum as “heavy-handed”. Why are they more heavy-handed than the liberal effort which resulted in the “new guidelines” in the first place? And again I wonder, is it that conservatives don’t want anything negative taught, or is it just a matter of proportion? If our country and its system of government and economics are worth preserving at all, doesn’t that mean the positive outweighs the negative? And if so, shouldn’t the positive outweigh the negative in our history texts? On the other hand, if we believe the negative is predominant in reality, and therefore the negative should predominate in our history texts, then why preserve the system at all?